Wendy is a professor in the College of Architecture, Planning & Design (APDesign) at Kansas State University. After ten years as the Associate Dean of APDesign, and a yearlong sabbatical, she has returned to teaching. Ms. Ornelas, a gourmet cook, an architect, a professor, and a flyfisher is a principal with husband, Robert Condia of Condia + Ornelas Architects, an award winning office designing small commercial projects. Wendy is a mentor and served as board liaison to the Young Architects Forum; faculty advisor for APDesign’s Women in Design and AIAS; instigator of AIA Kansas’ young architect’s leadership program, blox; the recipient of the ACSA/AIAS New Faculty Teaching Award; and a past president of AIA Kansas. Wendy was the Central States Regional Director for AIA and co-chair of AIA National's Diversity and Inclusion Council from 2012-2014. She has been active with National Architectural Accrediting Board, as president 2009-2010, and chair or member of numerous accreditation, nomenclature change, or focused evaluation teams in the US and Canada, and internationally on substantial equivalency visits. 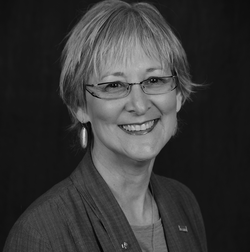 Wendy also served as one of three architecture representatives on the Kansas State Board of Technical Professions, served the Association of Collegiate Schools of Architecture (ACSA) as West Central Regional Director, was named in 2013 a Distinguished Professor of ACSA, and in 2015 she received the AIA Richard Upjohn Fellowship for her service on the AIA’s national board. In 2005 Wendy was elevated to AIA’s College of Fellows. She is the first and only female and Latino Fellow in the state of Kansas. She earned a BS in architecture from California Polytechnic State University, San Luis Obispo, and her master’s from Oklahoma State University. In 2016 Wendy was named the Alumna Honoree of the College of Architecture and Environmental Design at Cal Poly, San Luis Obispo.